In past posts, I have written about buying the SP5K, selecting a brace and the forearm. Next up is the optic. It should come as no surprise that my go to brand is Vortex Optics. I’m a creature of habit. 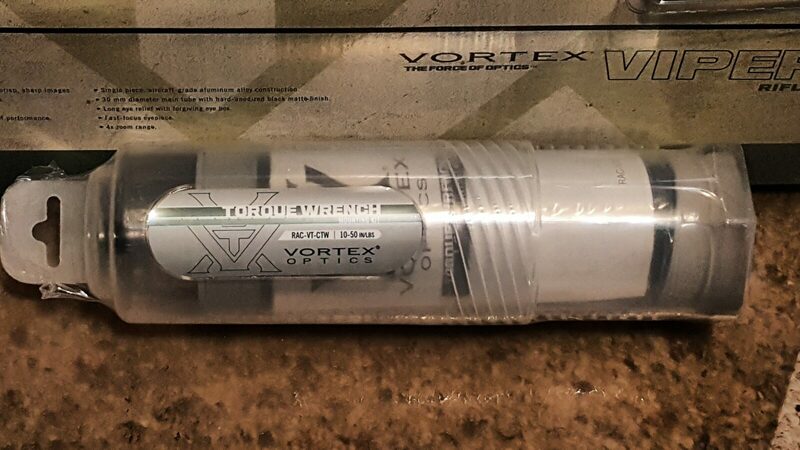 Vortex products are solid and have a no-nonsense – “if it breaks we will fix it” – warranty. Vortex does not sponsor me so I have no reason to stick with them other than they deliver. I knew right way this was going to be a close-in weapon with distances being typically 25 yards or less but maybe stretching out to 50 yards. It is hard to beat a red dot at those distances for rapid target acquisition. That narrowed my options down quite a bit. A second big deal for me is to have a wide field of view but also a relatively small dot size. This combination rules out a lot of the micro dots that are out there as they are both tiny and have a 4 MOA dot size – that means the red dot will cover 4″ and 100 yards or about 2″ at 50. The micro dots are okay and I rather like them on pistols but I wanted something a tad finer on this more controllable and accurate weapon. 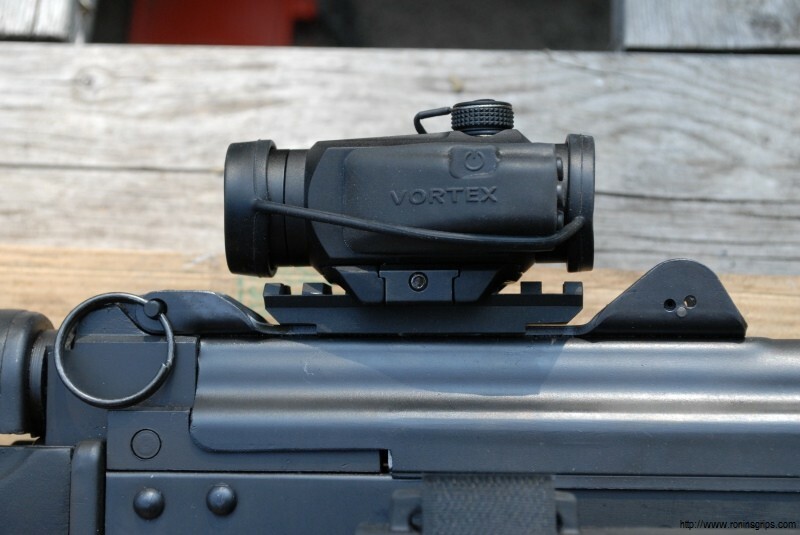 All paths lead me to the current Vortex Optics Crossfire red dot. 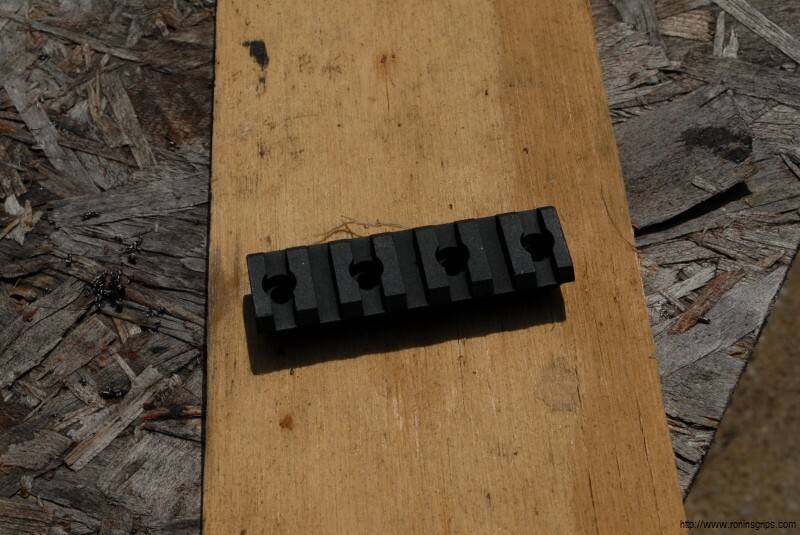 It has a 2 MOA dot size, is only 2.5″ long and only weighs 5.2oz. It also has a battery life of 7,000 hours at an output setting of 5. 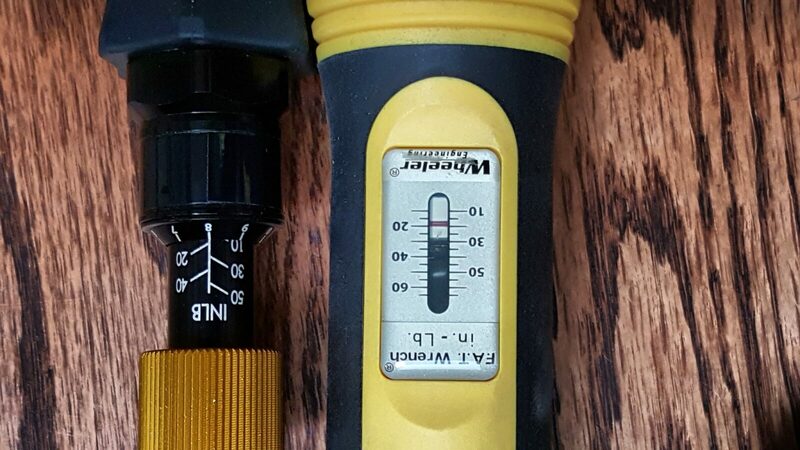 Note the optic has 11 levels so when you have it turned up for bright light settings, you will drain the battery faster – always keep a spare battery in the case. I’ve had a couple of range sessions get messed up to do dead/dying batteries and no spares. The only shortcoming, if I can even call it that, with the Crossfire is its base. 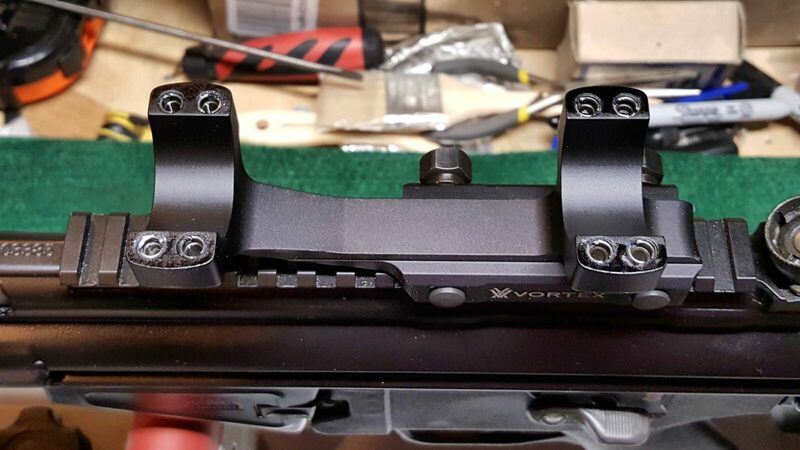 Vortex did their homework and include both a short base and base that can lower 1/3 co-witness with AR iron sights. The problem is that they are screwed onto the picatinny rail. 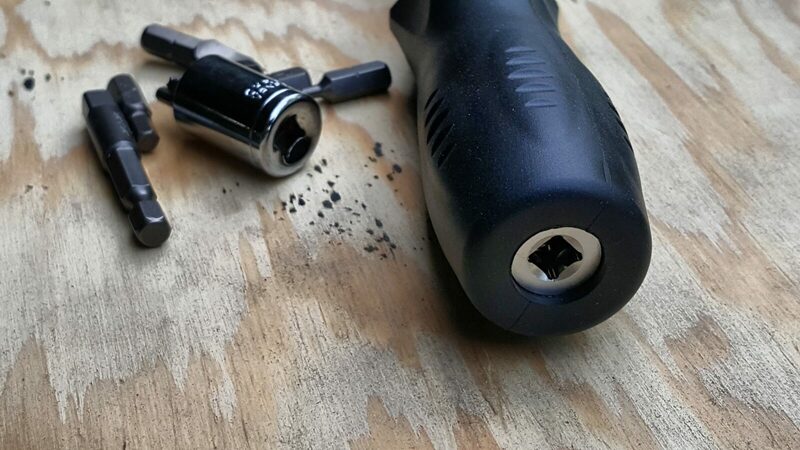 If you need to get the optic off fast, that’s not going to happen as you will need a torx driver. I do have good news – the Crossfire has the same base geometry as the Aimpoint T-1/H-1 optics. 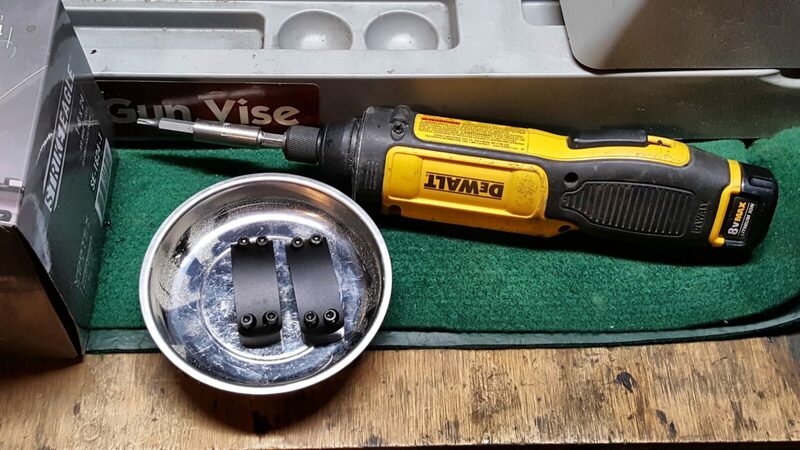 That’s the key right there – there are a lot of mounting options out there and after some digging, I have been using mounts from American Defense for over a year and they are rock solid. By the way, make sure you get the right mount – American Defense makes there base for a variety of optics. I am using the AD-T1-L STD. The good news is that this is really easy. 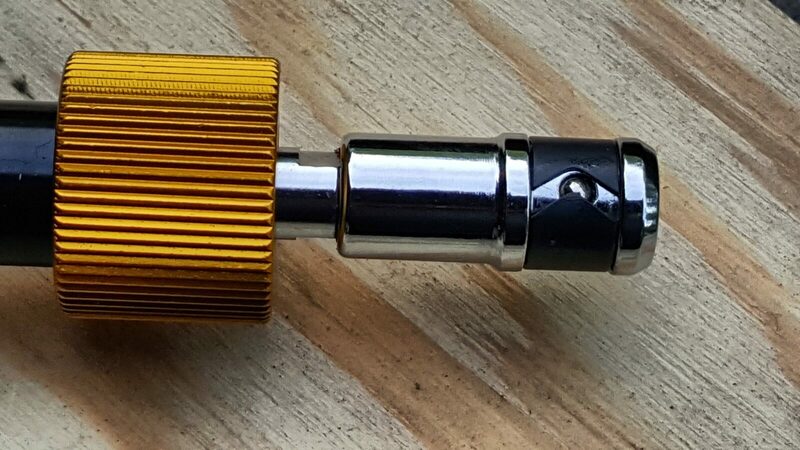 Undo the four screws on the bottom of the Crossfire to remove the Vortex mount. Put the American Defense mount underneath it, add a bit of Blue Loc-Tite thread locker and reinstall the screws. 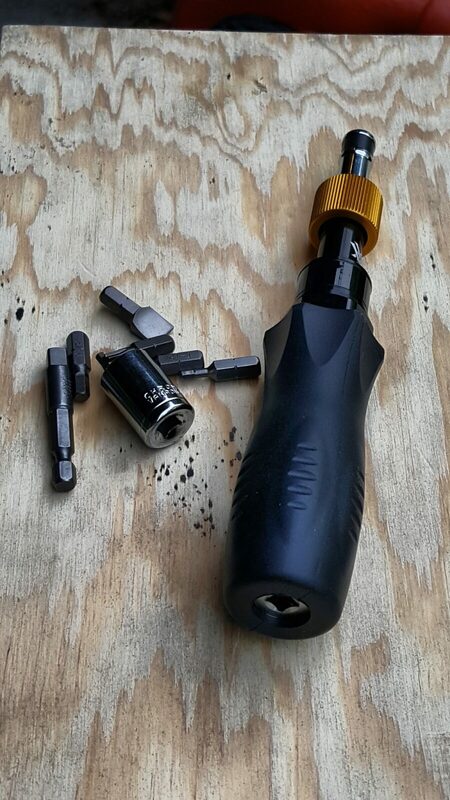 Use the small Torx wrench that Vortex supplies with the Crossfire to remove the four screws so you can the swap the bases. Here you can see the bottom of the Crossfire and how the American Defense mount will align. You can see the Blue Loc-Tite and the installed screws. I like to put the Loc-Tite in the holes and then install the screws. I wiped the residue away with a paper towel after I took this photo. The result turned out really nice. The optic is just the right height that it is relatively close to the bore and I can get a good consistent cheek weld. Product listings from Amazon are below. Note, I included some other Vortex options for you also. I used the above mentioned low profile American Defense mount and Crossfire red dot. I really prefer an optic on my firearms at this point. The PTR PDWR is a relative short range pistol so I figure post of my shots will be within 100 yards. It could certainly shoot further but, based on what I have read so far, the accuracy goes down hill fast. 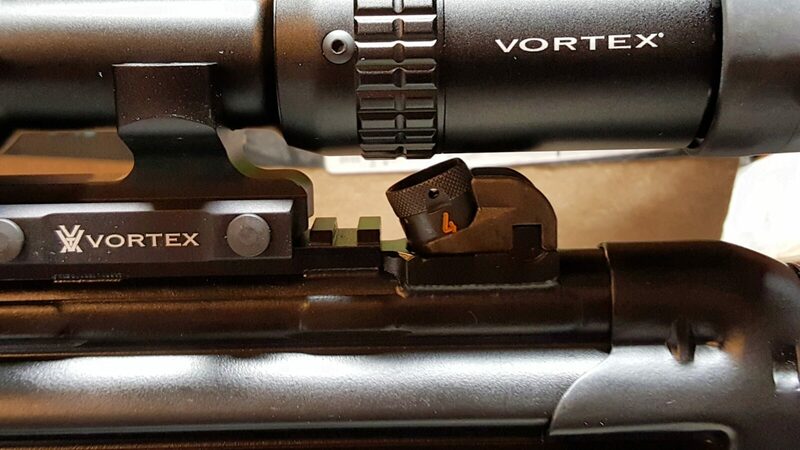 While some might consider a red dot, I opted for a true 1-6×24 Vortex Strike Eagle scope that has a 30mm tube. Now, I have to admit that I have become a bit of a scope snob over the years. I’ve destroyed cheap scopes, suffered with dark images, short eye relief and what not. 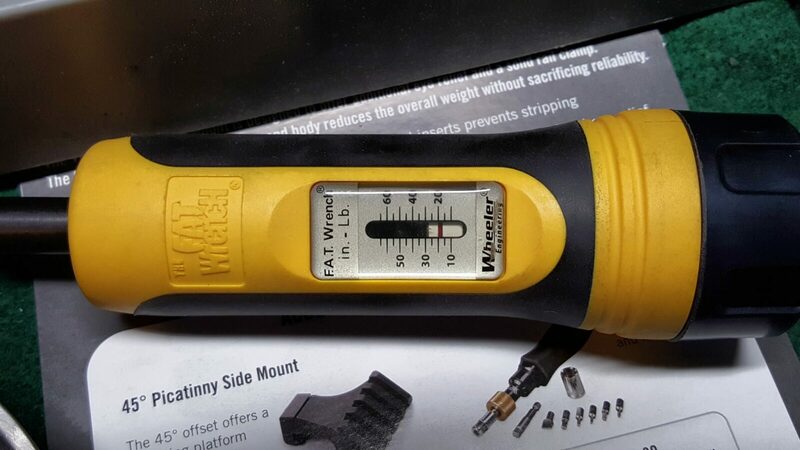 About four to five years ago I happened upon Vortex and they have been my go to brand ever since – not only is the quality there but they back it up with a no-nonsense warranty. Folks, I’ve owned probably at least a dozen Vortex scopes and red dots. I still have six that are on firearms that I plan to keep. I have had zero problems – not one. Not out of the box and not over time. I probably will some day – stuff happens. 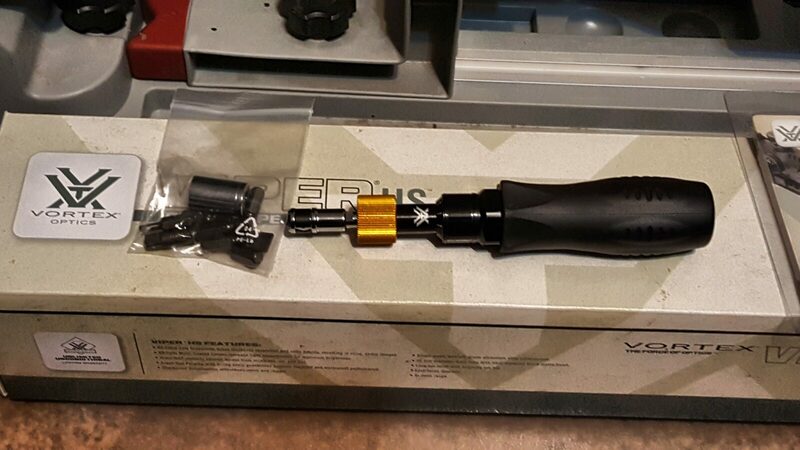 I’ve talked to other guys who broke their scopes (literally) or had problems and sent them in with Vortex taking care of them no questions asked. That says a lot. So, that brings us to the scope. The Strike Eagle is a decent entry-level AR scope with an illuminated reticle. 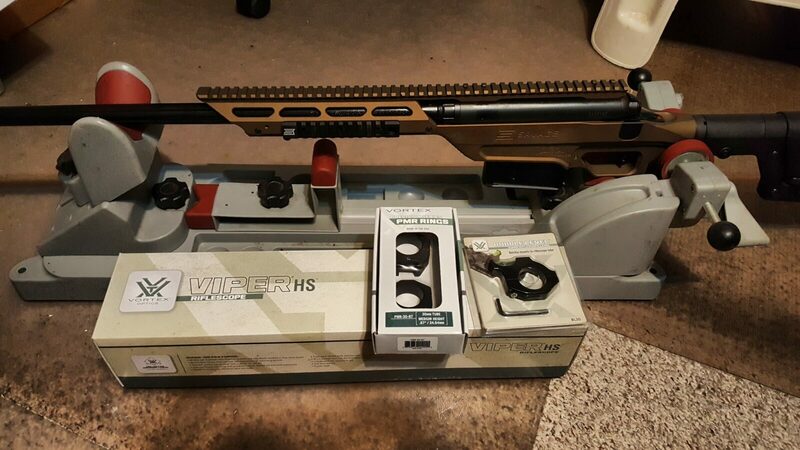 I bought this scope about a year ago for a project that didn’t happen and it has been sitting on the shelf. 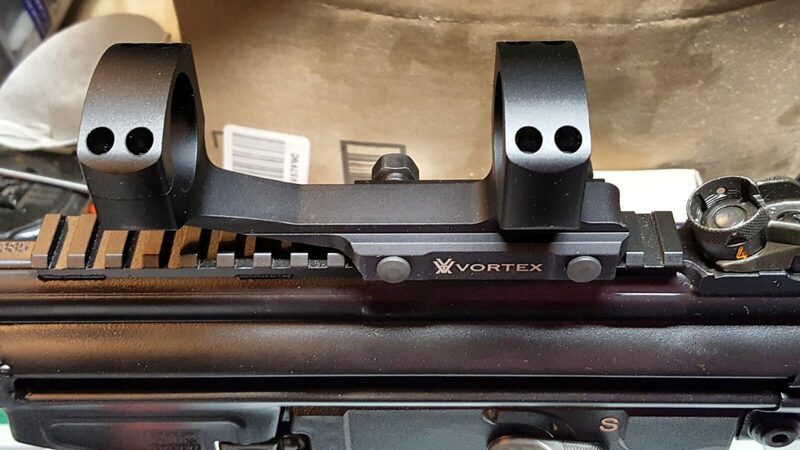 The good news is that Vortex now also has a 1-8×24 model. 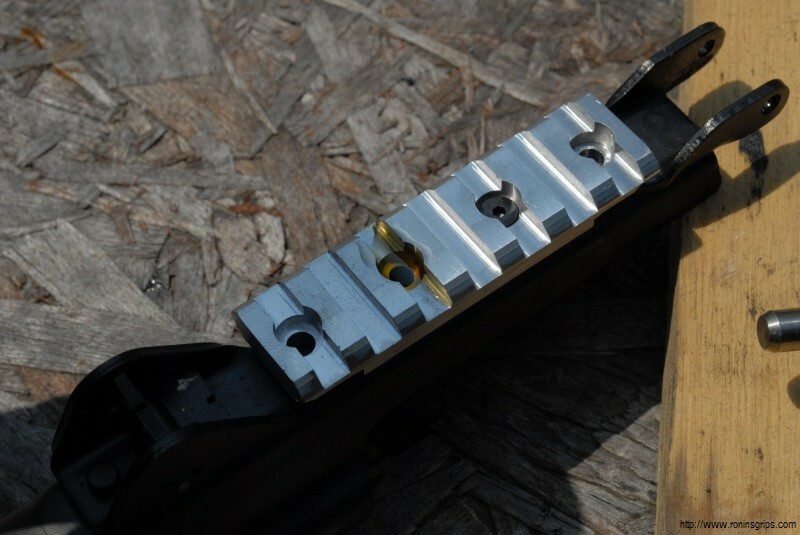 I used to use cheap import cantilever scope mounts but have since stopped due to screws stripping out and easily scratched finishes. I now use Vortex mounts pretty much exclusively now as well. I know I sound like a salesman but I really like their stuff. You’ll notice the quality of the finish and that the parts are beefy. You can go 18 inch/pounds on the rings and 65 inch/pounds on the rail attachment nuts. 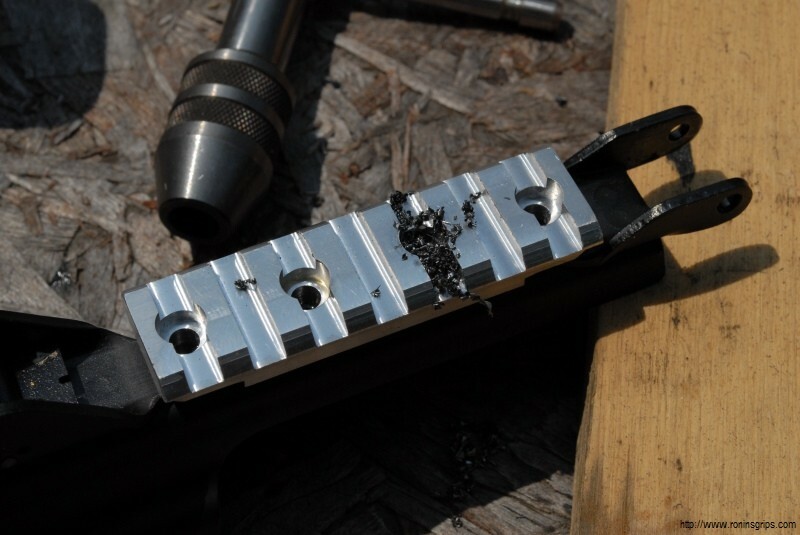 You’ll notice that cheap scope mounts don’t publish torque specs usually because they can’t handle much consistently. The ring caps are secured by screws that have heads for #8 Torx bits. 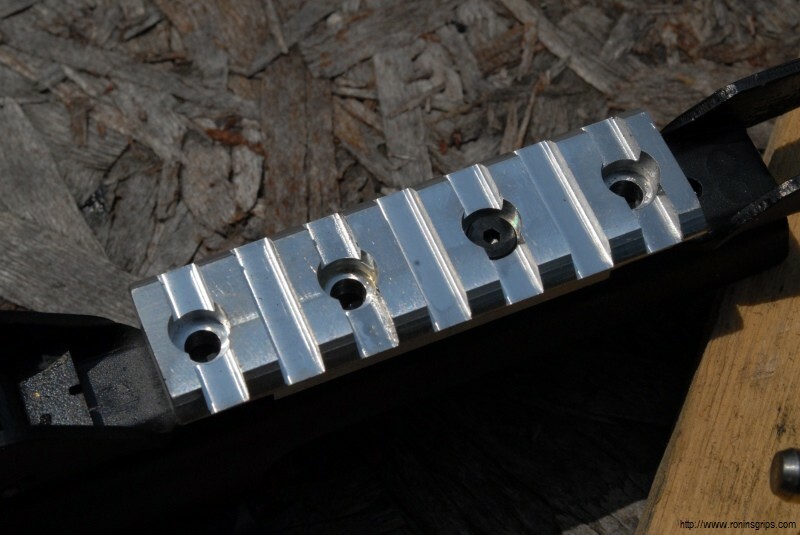 They go into steel threaded inserts for added strength – you will not find steel inserts in cheap mounts by the way. At any rate, lets begin. Safety First: Make sure your weapon is unloaded! As you can see in the above photo, I located the mount on the PDWR’s Picatinny optics rail a few grooves forward of the rear sight. It was a bit of an arbitrary point. I know I usually am near the rear plus on my past HK-style weapons I knew I might have to work around the rear sight. 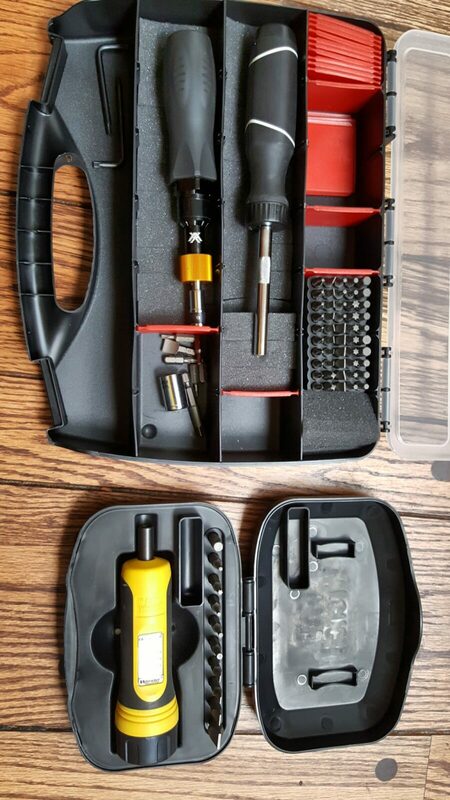 I removed the ring caps using a #8 Torx bit from my Weaver screw driver set and put them in a magnetic parts tray. I have lost little parts in the past so I am a bit paranoid now. I use my DeWalt cordless screwdriver to do the removal work as the twisting motion of a screw driver really messes with my carpal tunnel. Next, I place the scope on the rings and the very first thing I check is the clearance over the rear sight. In this case you can see the scope clears it. Years ago with my first rifle, a GSG-522, I scratched a scope by not checking that before I started screwing down the rings. Next, I install the ring caps back on. A time saver I do is to use the Dremel to run the screws in but there’s a trick. 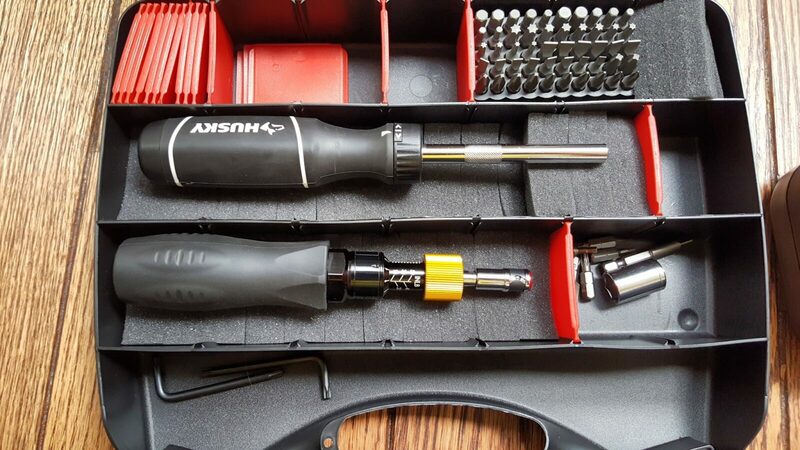 Hold the screw driver lightly so it can run the screws in but the screw driver turns in your hand the second it bottoms out. 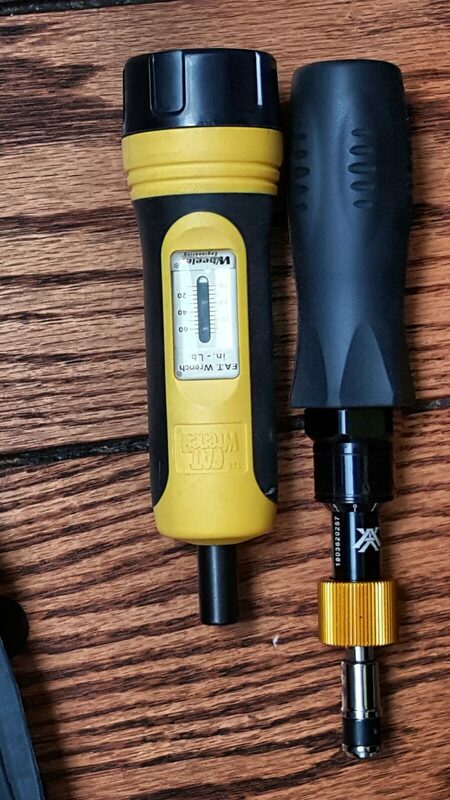 You don’t want to apply torque – just run the screws in. I then back them off just a bit so I adjust the scope in the mount. I also adjust them in or out slightly so I can get any gap between the ring cap and the base equal all the way around. I then shoulder the rifle and move the scope forward and backward until I get the proper eye relief. You want to be able to pull the weapon up quickly and see through the whole scope vs. having to move your head around to get a good sight picture. Also, I true the scope left to right. If I were doing a precision rifle, I would do it differently but with the PDWR, I eyeballed the reticle relative to the position of the rifle to level the scope and then tightened down the ring caps. 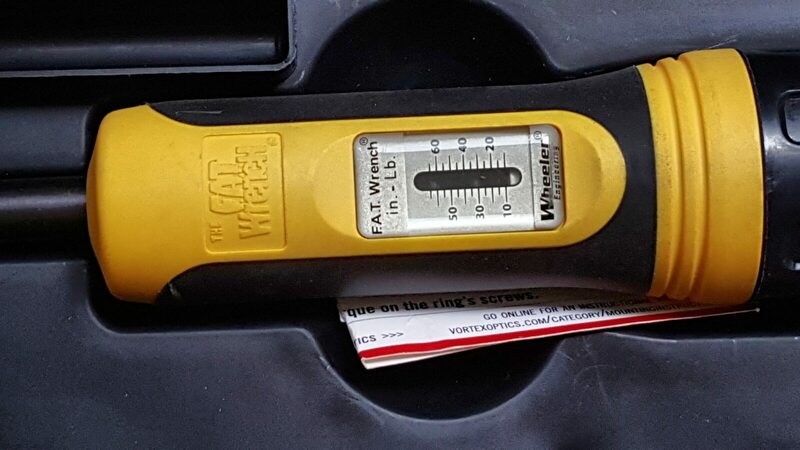 I like to carefully take them down snug all the way around and then set the torque at 18 inch pounds with a Wheeler Fat Wrench – note that Fat Wrench does not have a clear 18 in/lbs setting so I try to get it close. 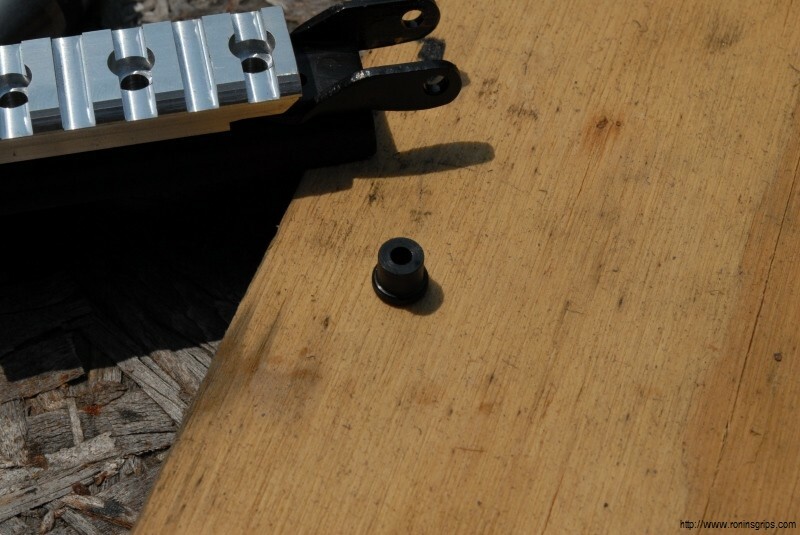 Once you are set, you also need to torque down the mount’s rail attachment screws to 65 inch pounds. 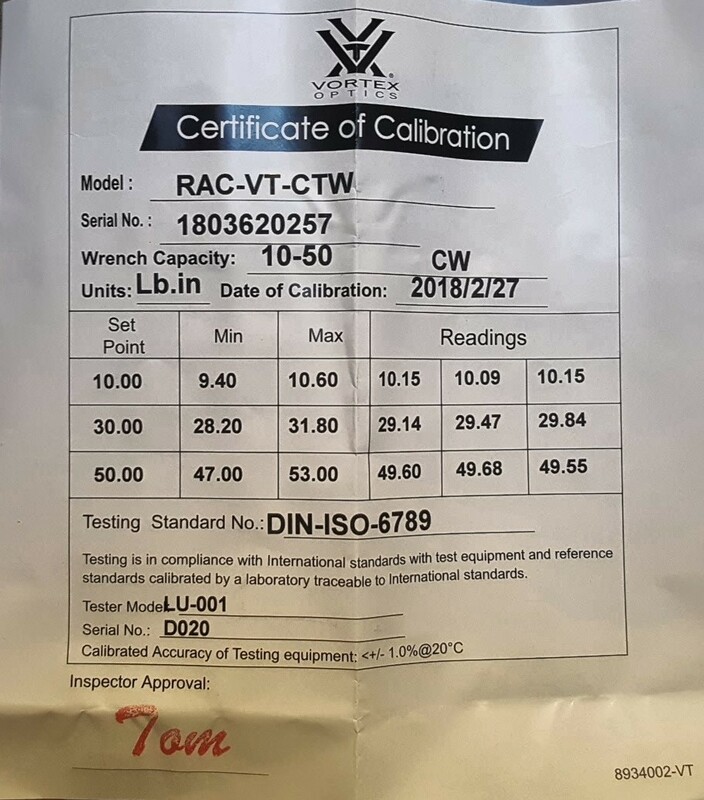 I was taught to never store a torque wrench under load so once I was done, I then adjusted the Fat Wrench back to zero. At that point you are done. 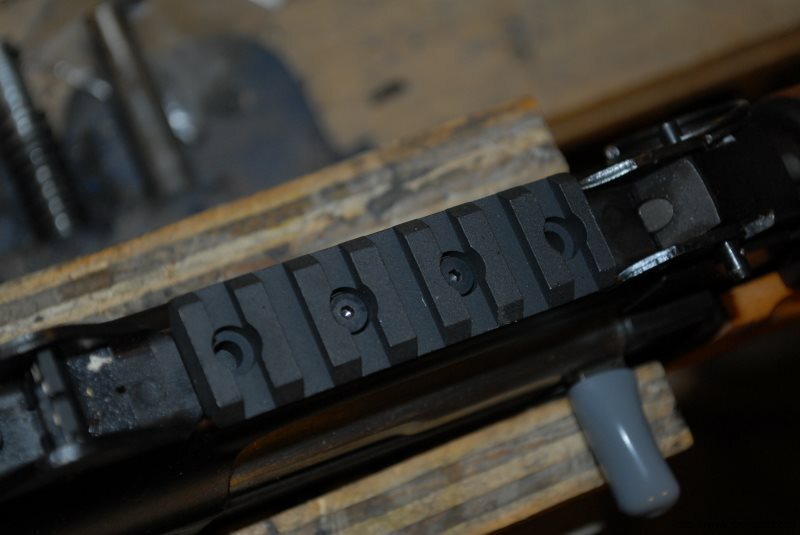 While setting up the optic and installing the brace, I noticed some tuning was needed and that will be the next blog post. 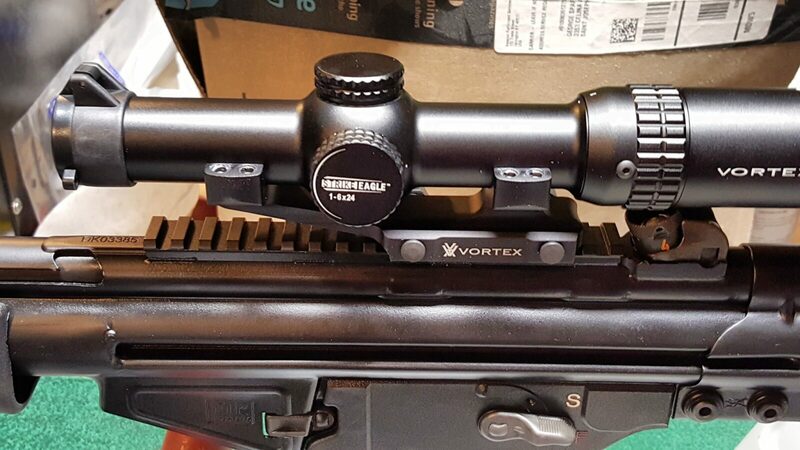 Vortex Strike Eagle 1-8X24 - Brand New And Factory Fresh! 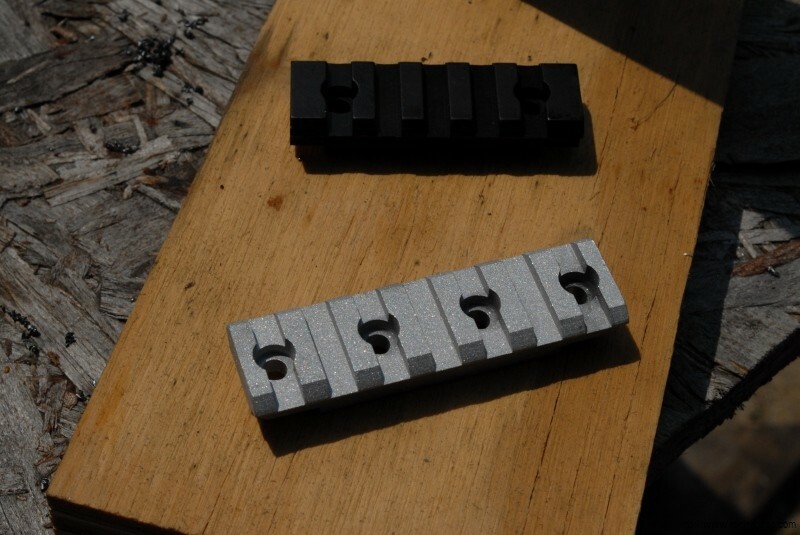 Another great accessory for the Yugo M92 or M85 PAP is the slick picatinny rail kit that CNC Warrior sells. This thing is a breeze to install and is the best means I have seen for adding an optic to the M92. 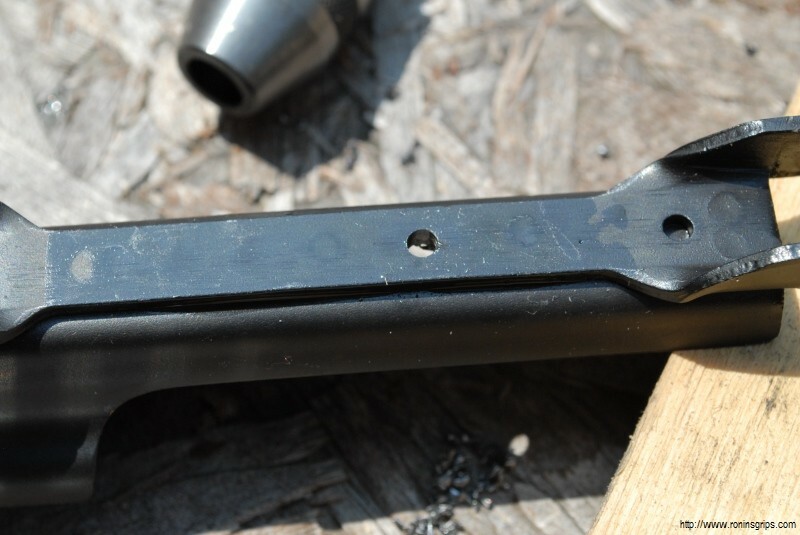 Because the screws are inserted from the rail side, it is superior to other products that require the screws to come in from underneath the dust cover and risk being hit by the bolt carrier. 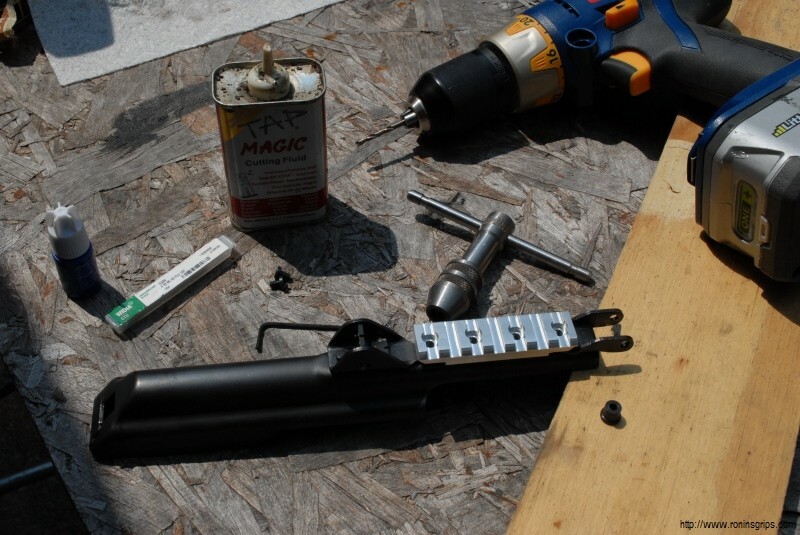 All you need is the pistol, a drill and some cutting oil to do the installation. 1. 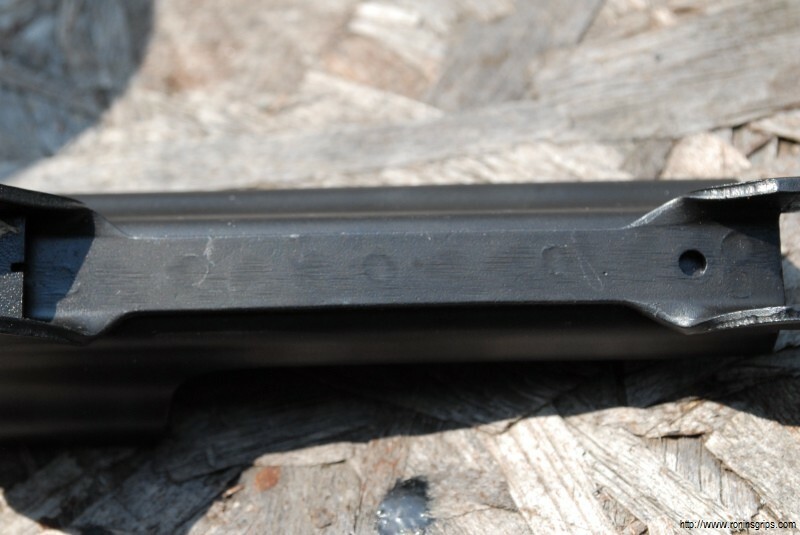 This is the top thick hinge of the M85/M92 dust cover. See the faint circles? Those are the spot welds and they are very hard! Do not drill into them! 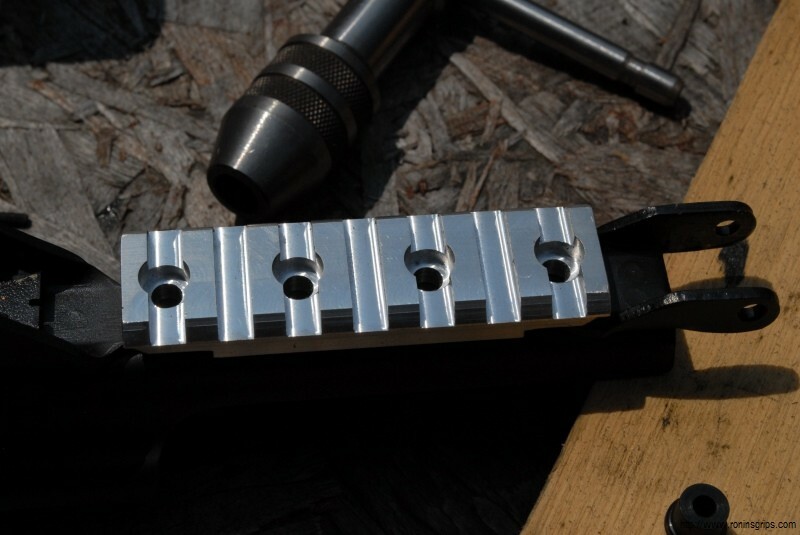 The new CNC Warrior mount has four holes and you only need to use two of them. 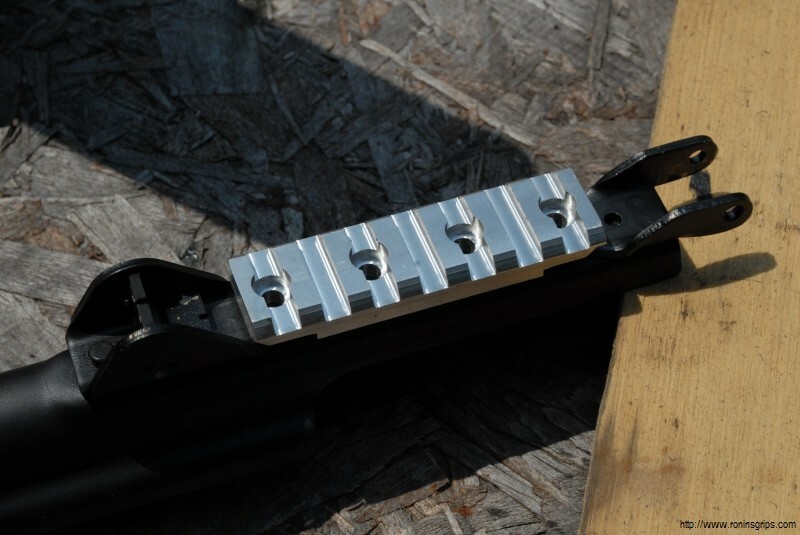 The reason there is four is so you can pick the best two that get you around/away from the spot welds. Please note that my rail is only silver because it was a brand new design and they hadn’t applied a finish yet. If you order one, you will get a black rail! 2. Here you can see my fancy high tech tools. 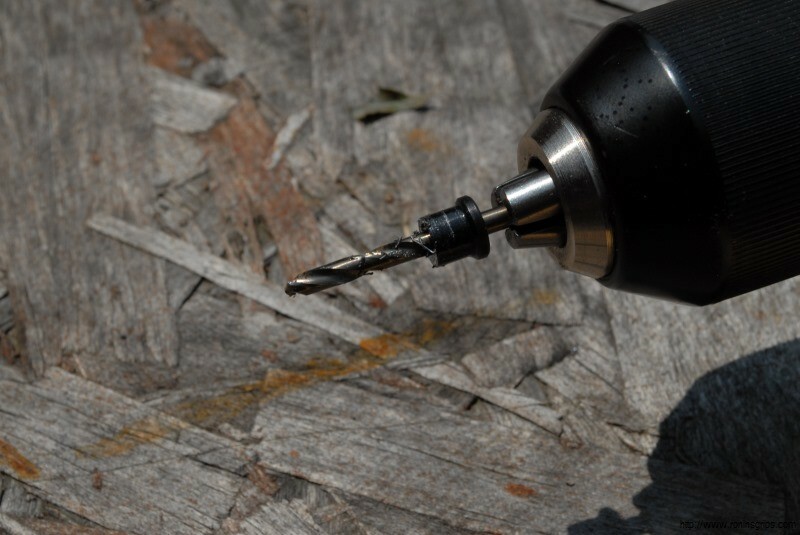 My Ryobi drill, Tap Magic cutting oil to lubricate the drills and the taps. Note, you will need to buy a tap handle if you do not have one. Do not take the short cut of trying to start the tap with a regular socket or open end wrench. 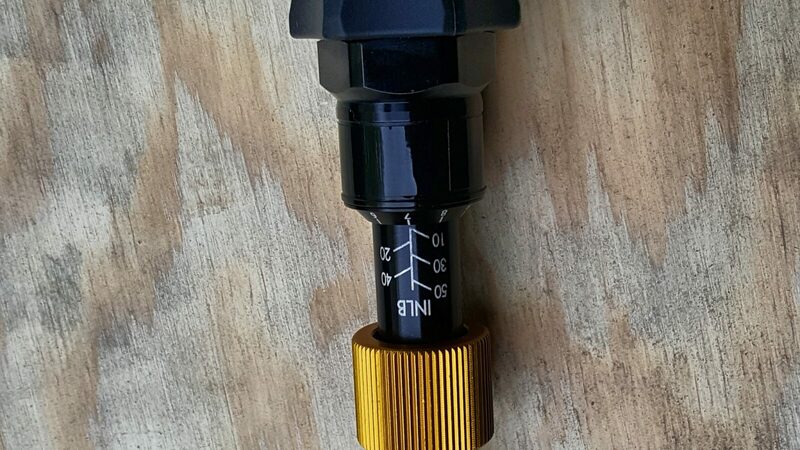 You really want the tap to be firmly held so you can tap the threads at a right angle to the surface of the hinge. Also, see that little black cylinder? That is a drill guide that you put into the hole you select to guide the drill bit to the right place on the hinge. Be sure to use the cutting oil! 3. As an aside, I blasted the mount and then sprayed on flat black Molyresin and baked it. You’d never know it came to me unfinished. 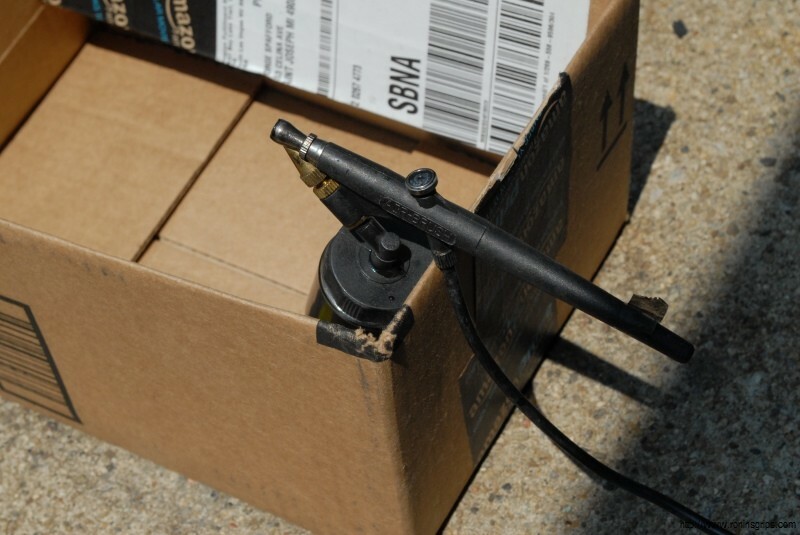 By the way, pictured above is a cheap Harbor Freight air brush. I used to buy a bunch of them at a time and then throw them away when they hard problems. I now use a Paasche H series air brush and am much happier with it. 4. 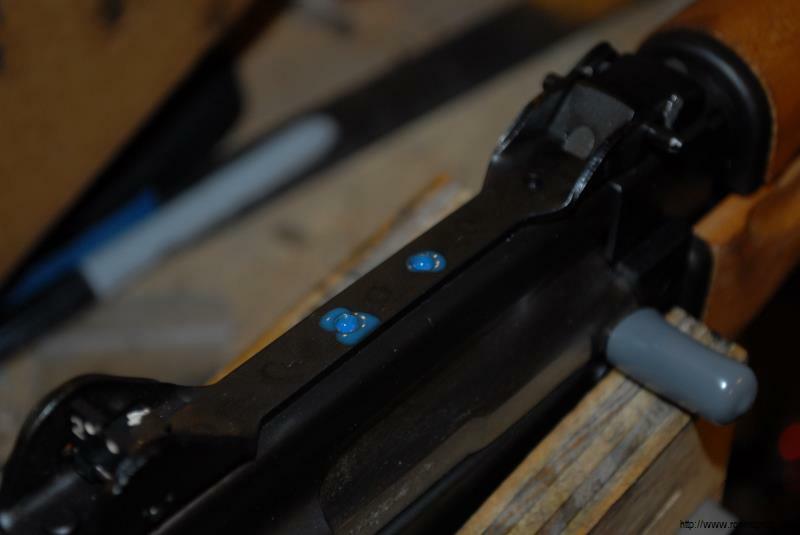 After you clean up the chips and are ready to do the final screwing of the mount, be sure to apply Blue Loctite so it does not come loose. That’s it! The mount is solid and it holds my Vortex Sparc red dot just great. 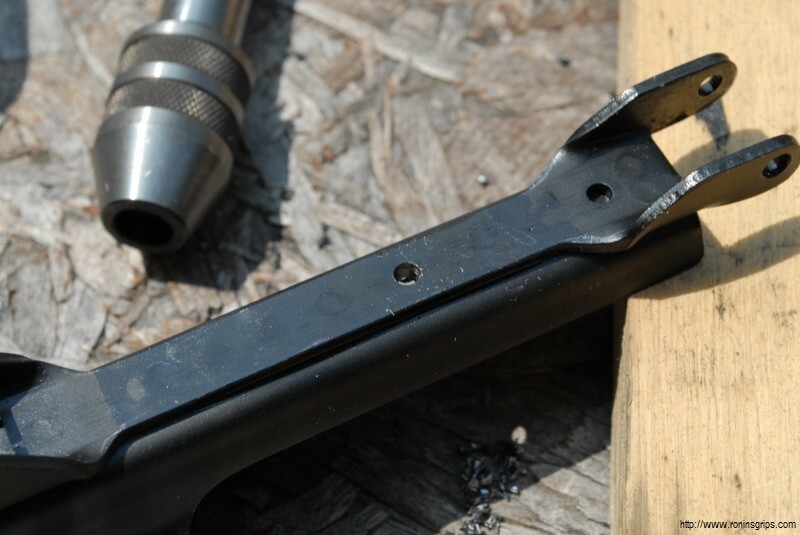 Note our quick takedown pin to make it easy to remove the cover and get the optic out of the way. 10/27/18 Note: Vortex discontinued the Sparc red dot. They sell a great 2 MOA red dot called the Crossfire that I really like.